It’s not a shock that many of baseball’s best teams are also its healthiest teams, but with two weeks remaining in the regular season, several contenders are dealing with key injuries, both recent and long-standing. So this seems like a good moment to take stock of those situations — as we have from time to time — to evaluate how screwed these teams are, and how panicked you should be. Tulowitzki cracked his scapula1 when he collided with Kevin Pillar, which came as a shock to anyone who’s seen a toddler run into a pillar in a shopping mall, because those kids tend to pop right back up. But Tulowitzki is only just now able to raise his arm again, and the Blue Jays have ruled him out for the next two to three weeks. How screwed the Jays are depends largely on which of those numbers turns out to be correct. If it’s two weeks, that’s the balance of the regular season, which is suboptimal, but not enough to keep the Jays out of the playoffs when they’re sitting on a 2.5-game division lead. But a third week would take Tulowitzki out of the first round of the playoffs. Though he’s hit only .232/.314/.368 with Toronto — which is fine for a shortstop, but not exactly Cespedestrian in terms of trade-deadline impact — he’s the best player on the team when he’s healthy and performing up to his potential, one of only a handful of position players capable of swinging a playoff series by himself. And speaking of shoulder injuries in Toronto’s middle infield, it’s worth reiterating that second baseman Travis is out for the season following shoulder surgery. That’s a lot of offensive firepower to remove from one infield. How nervous should Jays fans be? Your package was supposed to come on Thursday, but it didn’t. It’s now 4:30 p.m. on Friday, and you’re not sure if it’s there yet, and you’re not going to be home until late, so you might have to wait until Monday to get it. Whatever you think about the Chris Coghlan slide that broke Kang’s leg and shredded his knee — if you go around telling people a cheese casserole is a pizza, you think it was clean; if you get most of your nourishment from potatoes, you consider it a war crime — it doesn’t change the fact that the Pirates’ rookie shortstop is out for the remainder of this season and some of the next. That’s a pity, because Kang had been really good: As a shorthand, he’s third in WAR among a loaded class of National League rookies, and within reach of the WAR lead among Pirates players. With that said, one of the things that made Kang’s season so interesting, and the Pirates so good, is that Pittsburgh probably has baseball’s deepest infield, and it has made defensive shifting one of the hallmarks of its recent renaissance. Manager Clint Hurdle could go with Aramis Ramirez and Jordy Mercer on the left side, though Mercer’s 60 wRC+ sends one scrambling for alternatives. Maybe the solution is to play Mercer against lefties and in late-and-close situations, and to live with Josh Harrison’s glove otherwise. Whatever Hurdle winds up doing, he’s got options. OK, let’s take this in groups. First, this looks worse than it is, because even though there’s more than a full infield’s worth of injuries on this list, most of them are of the nagging, day-to-day variety. I doubt that Gonzalez or Turner, for instance, will miss playoff games. Second, the injuries to Rollins and Peraza in particular open up playing time for Corey Seager, who’s been the Dodgers’ best shortstop in his brief time in the majors. So you could argue that if Rollins being hurt keeps Seager in the lineup, the Dodgers are better off with Rollins being hurt. Next: Ryu has been out all season and McCarthy has been out since April, but their absence still matters. The Dodgers are hurtling toward a first-round matchup with the Mets, which would represent a Götterdämmerung of starting pitching. Los Angeles has the two best pitchers in the National League, but even after picking up Mat Latos and Alex Wood at the deadline, Don Mattingly could still find himself with Mike Bolsinger on the mound in a win-or-go-home game. Bolsinger has been good, so maybe that won’t wind up mattering, but Ryu or McCarthy would inspire a lot more confidence. 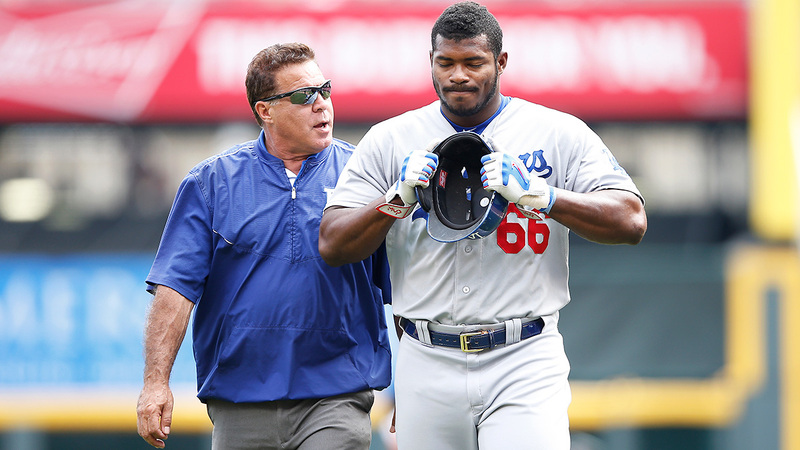 Finally: It’s tough to go into the playoffs down your best position player, and despite Puig’s struggles to stay on the field all year, that’s what he is when healthy. But the Dodgers have developed and bought enough depth that even if they’re missing some top-end spark, they won’t start an ax wound of a player anywhere in the postseason. How nervous should Dodgers fans be? You’re at Thanksgiving dinner and one of your older relatives starts a sentence with, “I’m not racist, but …” There is no alcohol available, but there is an exit. It’s not like the Rangers were counting on any of these guys back in April, or even in late July, when the Cole Hamels trade was pitched as a deal for 2016 and beyond. 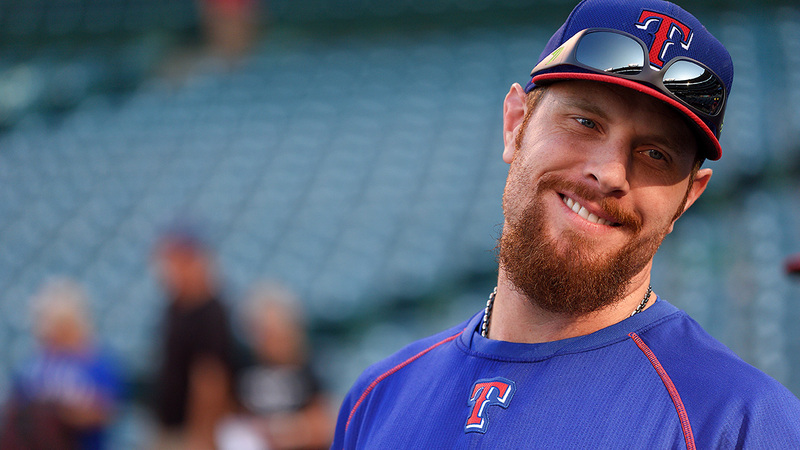 All things considered, the Rangers are really playing with house money at this point. But it’s tough not to wonder how much more dangerous this team would’ve been with Darvish and Profar healthy all year. How nervous should Rangers fans be? Your dad tells you he had the chance to invest heavily in Microsoft in 1988 but turned it down. Both of you went on to live happy, fulfilling lives anyway. Teixeira’s broken leg ended a renaissance year for the veteran first baseman, which is a shame not only for those who want the Yankees to do well, but for baseball in general, because it was nice to see Teixeira bounce back the way he did. But with the emergence of Greg Bird, Teixeira’s absence isn’t a crippling blow. Pitching is a much greater concern. 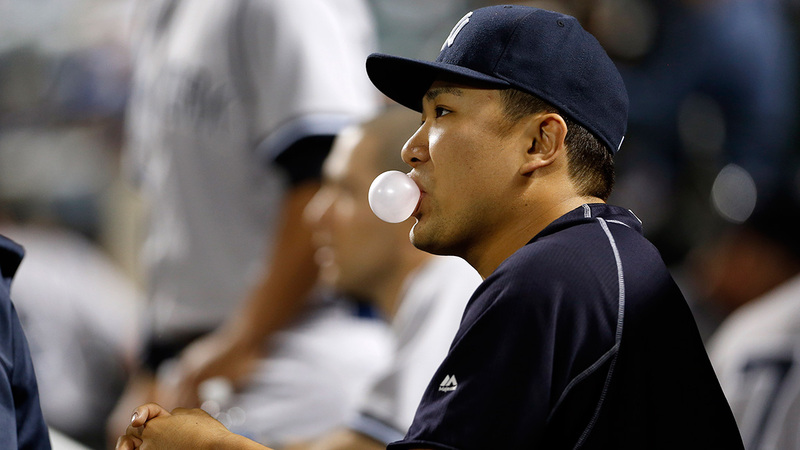 The Yankees have dodged a bullet with Tanaka being able to pitch, and pitch well, despite having early-season elbow troubles, but now, Tanaka will miss at least one start with a hamstring strain. Eovaldi, meanwhile, took a leap in the middle of the season with a new splitter, but he’s suffered elbow inflammation in the last month of the season. After a platelet-rich plasma injection, Eovaldi’s in a similar situation to Tulowitzki: out for the rest of the season, with the possibility of returning for the playoffs. Eovaldi, however, would’ve expected to play only once in the opening round anyway, so if it’s Game 4 versus Game 2, that’s not the end of the world. Even so, Eovaldi and Tanaka are probably the Yankees’ two best starting pitchers at the moment, and these two injuries have the potential to either not matter at all or torpedo the Yankees’ season. How nervous should Yankees fans be? You’re asleep in the passenger seat of a car on the highway, and the driver slams on the brakes. What a delicious-sounding injury. I think I had a little cracked scapula with a white wine sauce the other night. Michael Baumann is a Grantland contributor and author of the book Philadelphia Phenoms: The Most Amazing Athletes to Play in the City of Brotherly Love.